What is a dividend and when can you receive one? 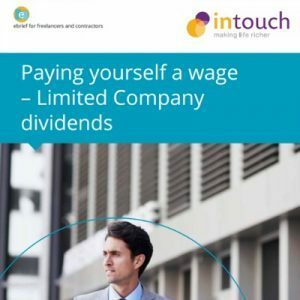 In this eBrief Intouch Accounting, the personal online adviser for contractors and freelancers, looks at one aspect of taking money from your company through the payment of dividends. We look at the way dividends are allocated and how the timing of dividend payments can be used to manage the rate of income tax incurred. We also look at how a carefully thought out share structure can reduce the amount of income tax payable. So read on and make sure you’re not missing out on the tax saving opportunities available to you. Dividends are payments made to the owners of the company, the shareholders, from the company profit. Company profit is not only income less expenses for the current year, but also takes into account a provision for the Corporation Tax that will be due thereon, plus any retained profits or losses brought forward from prior years. A dividend becomes payable to the shareholders when the directors decide that a dividend should be declared, and it is payable to the shareholders directly in proportion to the shares that each owns. The company must have profit available in order to declare a dividend. If there is no profit and the company pays a dividend it may leave the company unable to pay its debts, and the amount may then become repayable by the shareholders. When you set up a company the ownership of shares is important as it will determine who will receive dividend income. It’s often overlooked, unless you have the advice of a contractor accountant, or you considered it when you incorporated your own company. Who is entitled to receive a dividend? As a dividend receivable as a shareholder. As a salary or “fees” payable for your directorship, or 2. As a salary for your employment, and 3. As a dividend receivable as a shareholder. A dividend entitlement only arises because of a shareholding in the company and has nothing to do with employment or services provided. As mentioned earlier a company can only pay a dividend if it has profit available. The directors are responsible for making sure that there are sufficient profits, and for remembering that profits for dividend purposes are always calculated after a deduction for Corporation Tax; so it’s helpful to have some form of management accounts to work out the profit and also an estimate of the Corporation Tax to be deducted from that profit. You don’t have to pay dividends in the year that the profits are made. The maximum amount that can be paid out as a dividend is a running balance of the accumulated profits (less any accumulated losses), less the accumulated dividends previously paid, from the date the company started. In Year 1 your company made profits after tax of £20,000 but did not pay any dividends and, in Year 2, you made further profits of £30,000 after tax. You could declare a dividend at the end of Year 2 of £50,000. When a company is created the first shares that are allocated to shareholders are called subscriber shares, and it’s normal for only one type of share to be considered. When a company declares a dividend, it can only do so if there are sufficient available profits. If a dividend is declared when there are insufficient profits, this is termed an “illegal dividend”. The directors can issue additional shares later if they consider it appropriate, or they can go one step further and convert existing shares into several different classes (types) of share or create entirely new types of share if they wish. Every company has its own share structure. When a dividend is declared by the directors, they agree how much dividend is to be paid on each share, and then the shareholders receive an amount according to the number of shares they hold. Connie F Lancer holds 75 shares and her husband Colin F Lancer holds 25 shares. If a dividend is declared of £100 per share then Connie receives £7,500 and Colin receives £2,500. We mentioned above that shares can be created as different classes of share. A class of share can be created by simply giving each class a different name and setting out the rights that each class has. They don’t have to have different rights to be a different class, but this is typically how they are created. Every share within a class of shares ranks equally, and so dividend and voting entitlements of shareholders are determined by the number of that class of shares held. Connie F Lancer holds 75 Class “A” shares and her husband Colin F Lancer holds 25 Class “B” shares. If a dividend is declared of £100 per Class “A” share then Connie receives £7,500 but Colin receives nothing because he does not hold any “A” shares. We will return to share classes later and explore how you can use classes to direct income to the right person at the right time, without having to modify shareholdings. This form of planning is only appropriate in the right circumstances and does not suit all Personal Service Companies. It can be viewed as aggressive by HMRC and caught under the “settlements legislation” explained later in this eBrief. There are two types of dividend – Interim and Final. A large company will pay interim dividends during the year followed by a final dividend after the accounts have been prepared and profits analysed. For a small limited company it’s usually not that complex and you simply pay interim dividends throughout each year, so that’s what we’ll concentrate on here. Dividends are deemed to be received on the date they are declared. It is therefore important to consider the declaration date when declaring dividends close to the year-end, as it can be an incredibly useful tax planning tool. For example, a dividend declared on 1 April 2014, paid on 4 April 2014, but not banked by the shareholder until 10 April 2014 is treated as income for the shareholder during the tax year 2013/2014 even though banked by the taxpayer after 5 April, the income tax year-end. Dividends are deemed to be received on the date they are declared. It is therefore important to consider the declaration date, as it can be an incredibly useful tax planning tool. Once the dividend has been declared and the due payment date agreed, the company should issue to the shareholder a voucher that details the date the dividend was declared, the amount of dividend per share, the number of shares held and the total amount payable, together with the amount of the tax credit which is the amount of tax deemed to have been paid at source. Because a dividend is paid from profits that have already been taxed (corporation tax), they are treated as received by an individual after a notional tax credit of 10% has been charged. This means that the dividend you receive is after the deduction of 10% tax. But don’t worry … dividends are not taxed at the normal basic rate of 20%. They are taxed at a basic rate of 10%. This means that if the person receiving the dividend is only subject to basic rate income tax, then they won’t have to pay any more tax on the dividend received. However, if you are subject to higher rates of income tax, then you will have to pay additional tax or any dividends. Once the dividend has been declared and the due payment date agreed, the company should issue to the shareholder a voucher that details the amount of dividend per share, the number of shares held and the total amount payable. Are you subject to higher rate tax? The important thing to remember is that dividends are always net of a 10% tax credit, so you would need to increase the dividend received to get the right starting point. To convert a dividend received net into gross income, simply multiply the dividend by 10/9. For example a dividend of £9,000 has a tax credit attached to it of £1,000, making a gross income of £10,000 (9,000 x 10/9 = 10,000). How is higher rate or additional rate tax calculated? Strangely, dividend income is not taxed in the normal way. Although the effective rate of tax paid on income falling within the basic and higher rate tax bands equates to the normal 20% for basic rate taxpayers and 40% for higher rate taxpayers, the method does throw up a strange rate at 45% for 2013/2014. Multiply the gross income by £8,888.88 x 32.5% = £2,888.88. Deduct the 10% tax credit of £888.88 leaving £2,000 payable. So this looks like you’ve saved tax because, rather than paying 40%, you’ve actually incurred only the £888.88 tax credit and paid a higher rate liability of £2,000 resulting in only £2,888.88 income tax. But, we’re forgetting that the £8,000 has already been subject to corporation tax. So you’ve paid a total of £4,000, (you can ignore the tax credit because it’s only a notional amount and not physically paid anywhere), and £4,000 is 40% of the original company profit of £10,000. We commented above that a dividend would normally be considered illegal if it’s declared by the directors when there is insufficient after tax profits to cover the dividend. Well, if a dividend is illegal, then there are consequences. Firstly, a director could be found personally liable for any illegal dividend paid if the company goes into liquidation. But, what’s more likely, is that the illegal dividend becomes repayable by those who ought to have known that the dividend is illegal. That usually includes the contractor and his family shareholders. The taxman also looks at illegal dividends and says that if it’s repayable, then it’s a loan … and that may mean they raise a tax assessment on the company for tax of 25% of the value of the loan (take a look at our eBrief for borrowing company money). Dividends are personally taxed according to when they are paid, not when the profits are made. Dividends are treated as being received after basic rate tax, and only higher and additional rates of tax are payable, according to the shareholders own personal circumstances. If a dividend is payable to the holder of a class of shares, then we need to consider what we can do if one shareholder is a higher rate taxpayer while the other is not. This is a very typical scenario for contractors, especially where husband and wife, or civil partners, or coworkers both hold shares in the company. Use different classes of shares. Each shareholder holds a separate class of share. This means that a dividend can be declared on one or more classes, and in whatever proportion suits the circumstances. For instance, in our example of Connie and Colin F Lancer, if both held the same type of shares then any dividend would be split between them according to the number of shares each held. That’s great until one is subject to higher rate tax, while the other is only a basic rate taxpayer. You wouldn’t really want to transfer shares continually from one to the other and then back again so that the right person receives a specific dividend. Nor would you want to consider complex dividend waiver procedures as a way of changing who receives the dividend. That leaves using different share classes. This planning opportunity has enjoyed a degree of popularity but HMRC regard it as aggressive and will often seek to challenge it under the “Settlements provisions” legislation. Professional advice is recommended before you take any action. The easiest solution is to create separate classes of share and have each shareholder hold the whole of each class. In the second example of Connie and Colin you can see how declaring a dividend on Class “A” shares held by Connie meant she received the entire dividend. By declaring a dividend on the Class “B” shares would mean Colin receives the whole dividend and Connie nothing. And you can take this further by declaring one amount on the Class “A” shares to Connie and a completely separate amount on the Class “B” shares to go Colin. Declaring dividends on classes of shares means you can direct specific dividend amounts to each individual shareholder and manage the amount of higher rate tax each pays. If you are careful you can use director’s loans as a means to take the money when you need it and then declare a dividend to be payable by offset against the loan taken. So long as this dividend is declared and paid within 9 months after the end of the accounting period you won’t have to pay the tax on an overdrawn loan account (there is always the issue of the interest free benefit in kind to consider). But you can use the time lag to make the dividend fall into a later tax year and defer the higher rate liability. Connie normally avoids paying higher rate tax, but uses up all her basic rate tax band. Her company year end is 31 July and she needs an additional cash deposit to buy a house of £20,000 in August 2013. If she declared a dividend in August 2013 then a higher rate liability will arise and, as the dividend falls into the tax year 2013 / 2014, then that higher rate tax is payable in January 2015.
that loan via a dividend and, provided the loan was repaid before 30 April 2014, the company would not have to pay the corporation tax on the directors loan. So Connie may choose to take a loan in August and declare a dividend on 10 April 2014 to repay the whole loan of £20,000. This dividend falls into the tax year 2013/2014 and the higher rate liability is deferred until January 2016. The same technique can be used if ever you want to defer taxable income from one tax year to another; but be careful … it’s very easy to stockpile higher rate tax liabilities if you do not monitor this closely. What if I want my children to hold shares? We are often asked if it’s possible for children to holds shares and receive dividends. The simple answer is that legally anyone can hold shares, and if those shares mean dividends are received, then the child has income in their own right. However, the taxman is not blind to the possibilities…. Imagine if your children could pay for their education from their own dividends and reduce your exposure to higher rate taxes on the money you need for those school fees. With careful planning, there are possibilities for your own parents to subscribe for shares at incorporation, and for them to gift shares to the grandchildren on occasions such as birthdays and christmas. But, be warned, this is highly aggressive planning and it’s very easy to fall foul of the settlements legislation. It is essential to take professional advice before you act. There has been much discussion on settlements legislation over the last 5 years, largely because the taxman challenged the use of shares as a means of shifting income from one spouse to another. HMRC lost the original case, but it did highlight the need for very careful, long term planning when looking at share structures for contractors’ companies. To make sure that the share rights are considered and do not adversely expose dividends on those shares to the settlement provisions. To ensure that the shares are held by directors actively participating in the company in some real capacity. To make sure that dividends are properly declared and paid to the person with the legal right to receive the dividend. It’s not uncommon for a contractor to accumulate large sums of money in their company and want to invest that money, but they are often worried about the effect commercial risks and possibly even IR35 risks may have on those savings if they crystallise as a liability. One technique is to try and ring fence surplus funds but, in order to avoid higher rate taxes, it may also be necessary to create a second company to hold shares in your main trading company. Dividends can then be declared on the shares held by the holding company, which then uses the money to undertake investments in its own right. Dividends paid between small companies are tax neutral. This means that the receiving company pays no tax on the dividend income. The tax is paid on the company making the profit so when the dividend is paid corporation tax has already been accounted for. The receiving company doesn’t need to pay corporation tax again. It receives the money and goes on to conduct its activities, only paying corporation tax on the profits and gains made by those activities. Of course you (or you and others) would own shares in the parent company and, at the right time, take dividends from this company as well. Delay when higher rate taxes are payable. Limit exposure to higher rate liabilities by ensuring income is taxed on those with the lowest tax rate. Create and manage a structure for the long term that would be useful in distributing income to family members over time and across generations. Limited company dividends are the profit a company makes (after tax has been paid) that is rewarded to the company’s registered shareholders. As less tax is paid on dividends compared to salary, dividends make trading through your own limited company a very cost effective route for contractors not caught by IR35 legislation. It is common for contractors to pay themselves a small salary and make up the rest of their income via dividend payments. But make sure you seek professional advice from your contractor accountant who will guide you on your options, help you avoid running into issues with HMRC and provide you with the right information that’s relevant to your specific circumstances. Intouch Accounting advises thousands of contractors and helps many of them overcome issues with the taxman everyday. 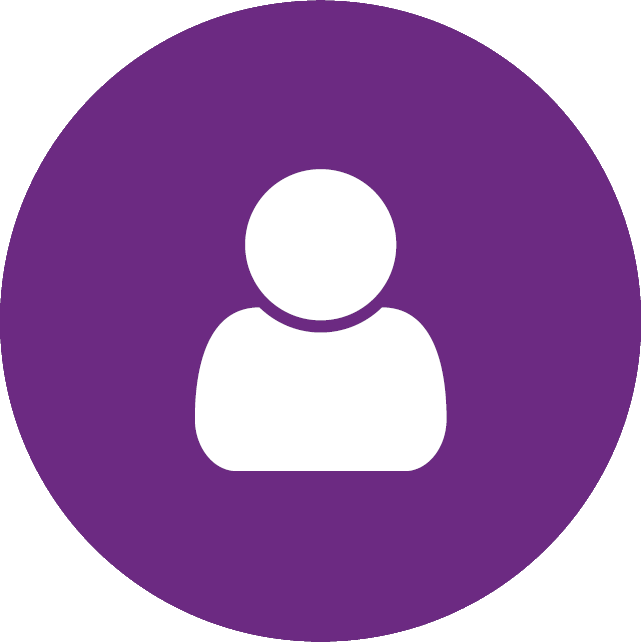 We have an experienced friendly team who can set up a company for you, manage your accounts and provide ongoing advice in relation to dividends, taxes and expenses.